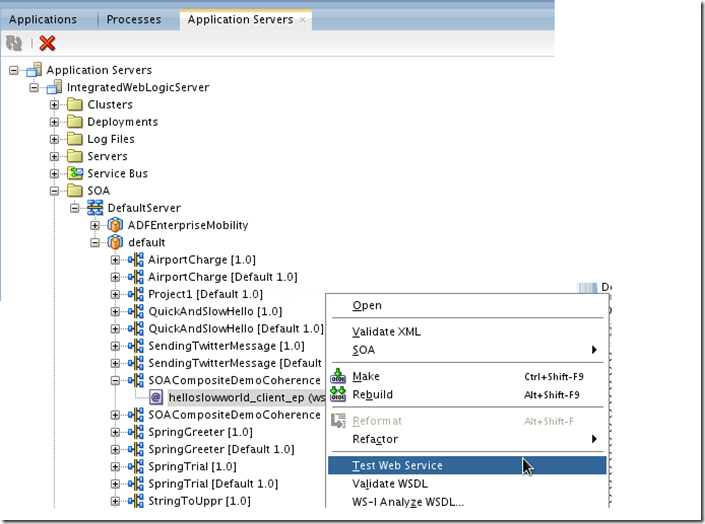 In JDeveloper 12c, it is very simple to test the web services (SOAP and REST) exposed by SOA composites from the comfort of your own IDE. 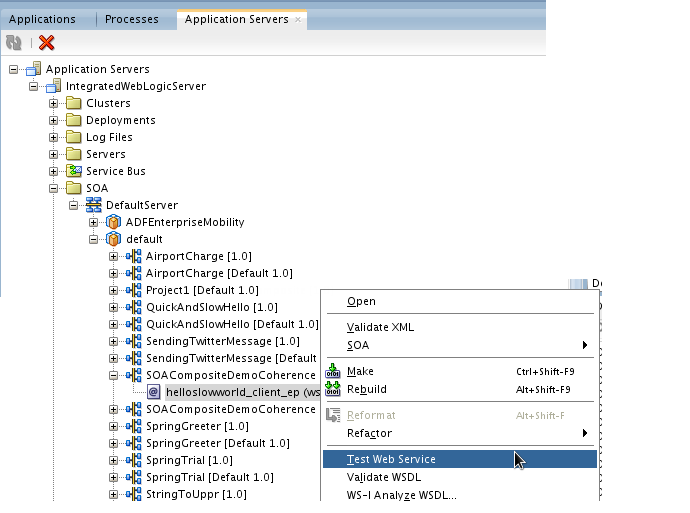 Using a simple right mouse click on the composite’s service interface (in the Application Server overview window), we can start the HTTP Analyzer for the service – with the right endpoint set, the WSDL (or WADL) loaded and the request message entry form ready to be filled in. In this way, testing a service right after deployment becomes much easier and does not require us to switch to Soap UI or Enterprise Manager FMW Control.